A 25-ton commercial truck transporting steel beams from Poland to Germany plowed into crowds at a Christmas market in Berlin at about 2000 local time on 19 December, killing at least 12 people and injuring 48 others, several critically, according to media reporting citing public security officials involved in the investigation. The truck was reportedly traveling at approximately 40 miles per hour when it rammed the Christmas market stands. Police estimate the vehicle traveled 80 yards into the Christmas market before coming to a halt. 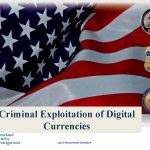 A 2014 presentation from the Department of Homeland Security’s Homeland Security Investigations discussing the criminal use and exploitation of digital currencies such as bitcoin. 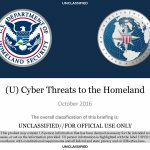 An October 2016 presentation from the Department of Homeland Security on cyber threats to the nation’s infrastructure. 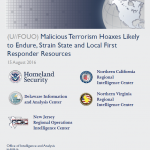 This Reference Aid is intended to provide information on malicious terrorism hoaxes that will continue to challenge first responder resources throughout the Homeland and territories. 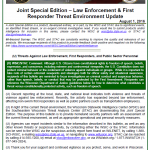 This Reference Aid is provided by I&A, DIAC, NCRIC, NVRIC, and NJ-ROIC to support their respective activities, to provide situational awareness, and to assist federal, state, local, tribal, and territorial government counterterrorism and law enforcement officials and first responders with recognizing the indicators and implications of malicious terrorism hoaxes. 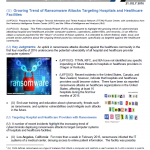 The use of hoax calls may also be used as a technique to lure authorities to a particular location for the purpose of conducting a potential attack, but is not discussed in this article, as luring is viewed as its own distinct tactic. 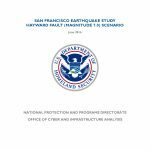 DHS has no indication that adversaries or criminals are planning cyber operations against US election infrastructure that would change the outcome of the coming US election. 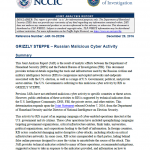 Multiple checks and redundancies in US election infrastructure—including diversity of systems, non-Internet connected voting machines, pre-election testing, and processes for media, campaign, and election officials to check, audit, and validate results—make it likely that cyber manipulation of US election systems intended to change the outcome of a national election would be detected. 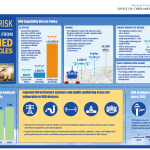 A poster from the Department of Homeland Security’s Office of Cyber and Infrastructure Analysis regarding the threat posed by unmanned aerial vehicles (UAVs) to critical infrastructure from May 2016. 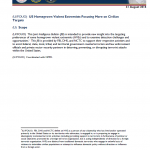 This Joint Intelligence Bulletin (JIB) is intended to provide new insight into the targeting preferences of some homegrown violent extremists (HVEs) and to examine detection challenges and opportunities. This JIB is provided by FBI, DHS, and NCTC to support their respective activities and to assist federal, state, local, tribal, and territorial government counterterrorism and law enforcement officials and private sector security partners in deterring, preventing, or disrupting terrorist attacks within the United States. Recent reporting at the local, state, and national level indicates both violence and threats of violence against law enforcement. 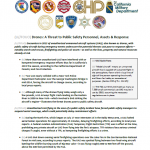 Recently, the activity has expanded beyond law enforcement, affecting non-sworn first responders as well as public partners (such as transportation employees). 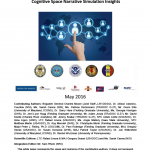 This Joint Intelligence Bulletin (JIB) is intended to provide situational awareness concerning the domestic extremist threat to national public and political events. This JIB is provided by the FBI and DHS to support law enforcement in their respective activities and to assist federal, state, local, tribal, and territorial government counterterrorism and law enforcement officials and private sector security partners in deterring, preventing, or disrupting terrorist attacks against the United States. 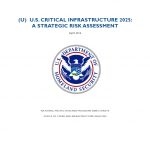 This strategic risk assessment provides an overview of six distinguishable trends emerging in U.S. critical infrastructure. These trends, when combined or examined singularly, are likely to significantly influence critical infrastructure and its resiliency during the next 10 years. 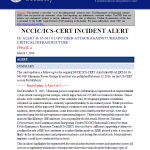 The NJ ROIC currently has no specific indication of any credible specific threats to transportation facilities. 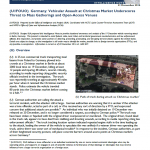 However, with the rise in “self-radicalized” actor(s), and homegrown violent extremists (HVEs) influenced by ISIL and other terror groups, targeted violent attacks to any of these sectors could occur with little or no notice by an individual(s) who has not yet garnered law enforcement attention. 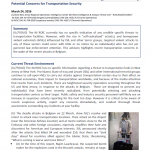 This advisory highlights recent transportation concerns in the wake of the recent attacks in Belgium. 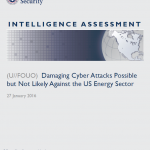 This Assessment establishes a baseline analysis of cyber threats to the US energy sector based on comprehensive FY 2014 incident reporting data compiled by ICS-CERT, as well as reporting by the Intelligence Community (IC), private sector cybersecurity industry, and open source media between early 2011 and January 2016. 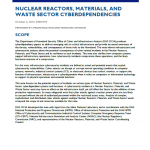 This Assessment is designed to help close gaps between the private sector’s and the IC’s understanding of current cyber threats facing the US energy sector. 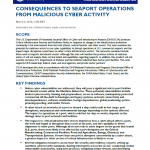 Critical infrastructure owners and operators can use this analysis to better understand cyber threats facing the US energy sector and help focus defensive strategies and operations to mitigate these threats. 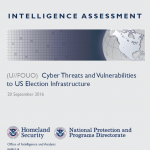 The Assessment does not include an in-depth analysis of foreign cyber doctrines or nation-state red lines for conducting cyber attacks against the United States. 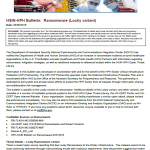 The information cutoff date for this Assessment is January 2016. 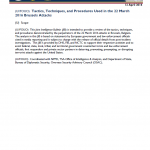 Several recent incidents underline the possibility that soft targets, including entertainment venues such as bars and restaurants, are increasingly chosen over hard targets that may hold more significance to the victims and the attacking person or group. 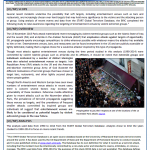 Using analysis of recent events and data from the START Global Terrorism Database, the BRIC completed the following study to raise awareness regarding the targeting of entertainment venues by violent extremist groups. Unless cyber vulnerabilities are addressed, they will pose a significant risk to port facilities and aboard vessels within the Maritime Subsector. 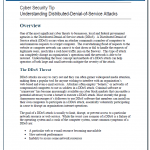 These potential vulnerabilities include limited cybersecurity training and preparedness, errors in software, inadequately protected commercial off-the-shelf technologies and legacy systems, network connectivity and interdependencies, software similarities, foreign dependencies, global positioning system jamming-spoofing, and insider threats. Encounters in 2015 of unauthorized unmanned aircraft systems (UAS), also known as drones, with public safety aircraft during emergency events underscore the potential threats UAS pose to response efforts—notably search-and-rescue, firefighting and police air assets—as well as the lives, property and natural resources already at risk. 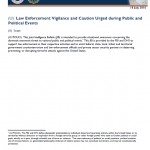 This document is intended to highlight several suspicious activity behaviors and indicators that may be indicative of preoperational terrorist activity for business owners and private sector security personnel. This product focuses on behaviors and indicators that would be of interest prior to any major event. 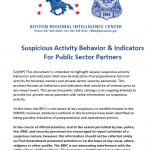 This proactive public safety strategy is an ongoing attempt to provide our private sector partners with some information on suspicious activity.